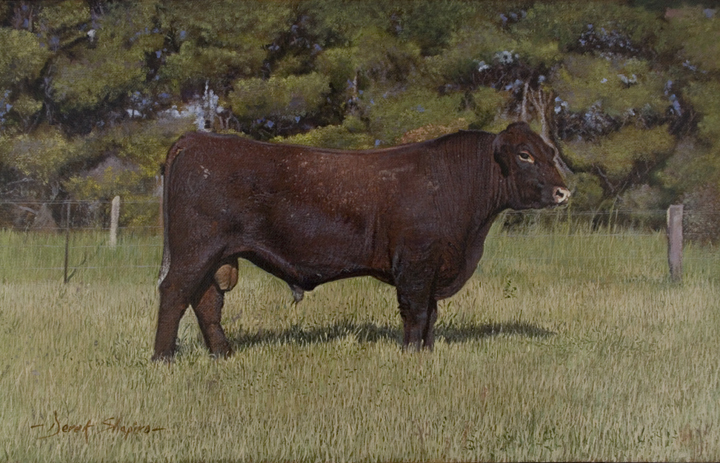 The Galloway is one one of the oldest and purest of our native cattle breeds and the world’s longest established breeds of beef cattle, named after the Galloway region of Scotland, where it originated, during the 17th century. 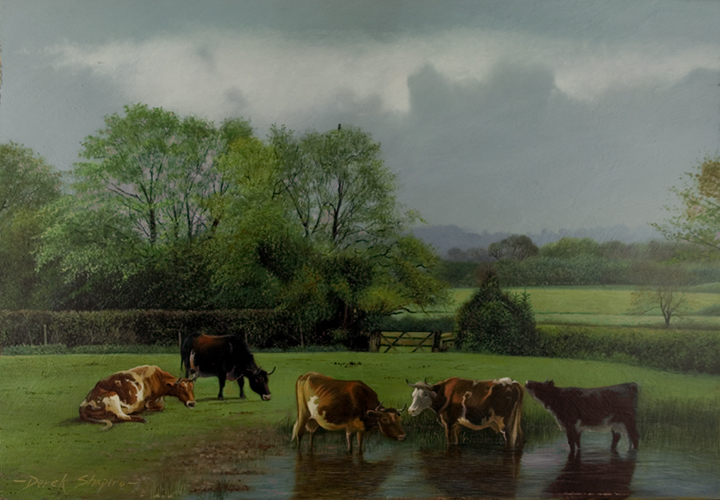 This commissioned painting along with other breeds of cattle is to hang in a Country Inn. Now that the Inn at Huxley has opened in Cheshire, this painting hangs along with others that I was commissioned to do. 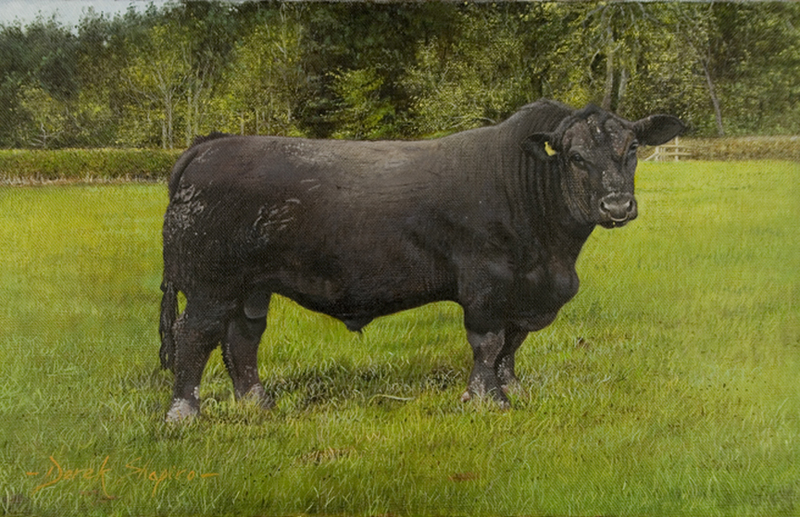 This painting is a commission destined for a new Inn about to open where Angus steak will be served on the menu. If you would like to commission me for a painting then please feel free to get in touch. To contact me please click here. 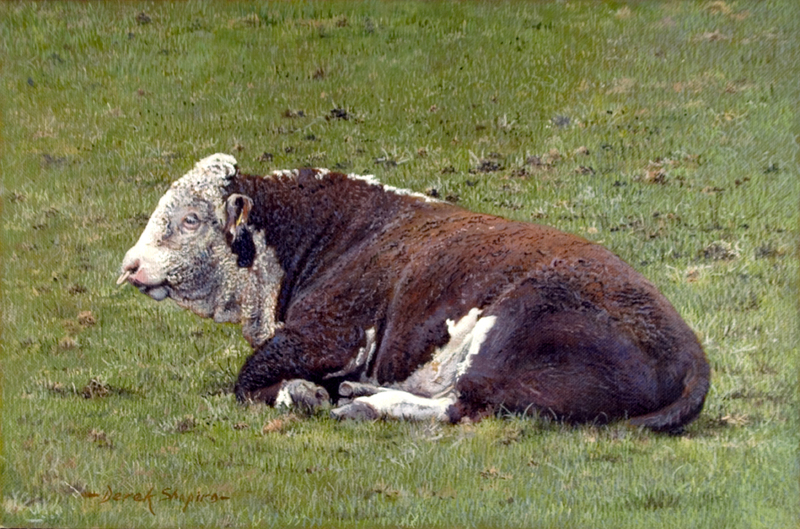 These Hereford bulls are magnificent animals and make great paintings. I had this particular painting hanging in my gallery window along with a painting of a head study which I may post at a later date. They where hanging in the window for less than a week, a farmer who happened to be passing by after a call at a cattle market called into the gallery and purchased them both. Lucky for me that they where hanging in the right place at the right time. This oil on canvas was commissioned by a client who has purchased and commissioned a number of paintings from me. 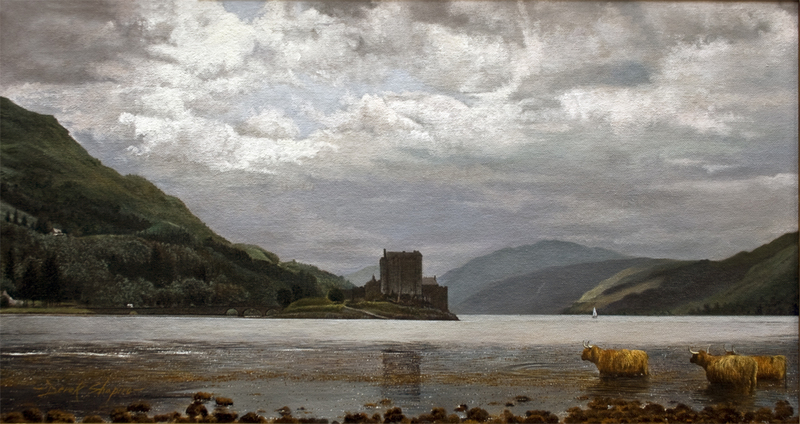 Ed, a retired farmer, is keen on game fishing and most years travels to Scotland and fishes for Salmon.The scene in the painting is the River Gruinard which is on the West Coast, it is this stretch of river that is one of Ed’s favourite haunts. I discovered An Teallach whilst on holiday in the West Coast of Scotland. Some people that paid me a visit at my gallery in Staffordshire owned a cottage in Gruinard in Wester Ross, and I painted a picture for them in exchange for two weeks stay in their cottage. The painting here was executed some time after back in my studio and is essentially an exhibition painting. It would be technically impossible to paint anything like this on the spot.